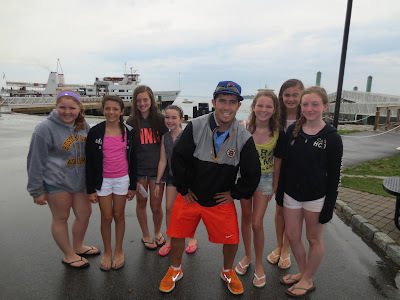 The final day of the first week of All Access Boston Harbor which was a week that was fun filled. 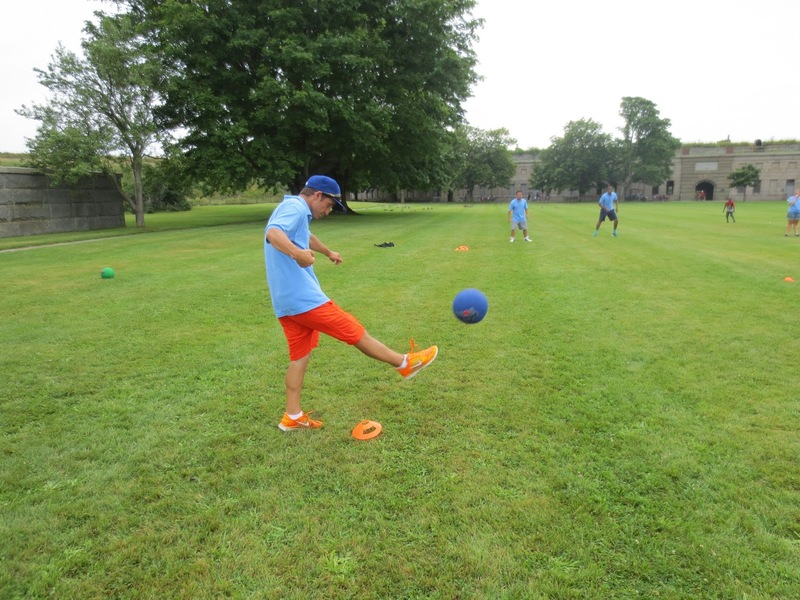 Activities ranged from wiffle ball to crabbing to soccer to fishing to the tours of the tunnel all the way to an awesome game of kickball. As the day started off mother nature wasn't looking to promising. The rain came pouring down as the groups of children arrived at the Bank Of America Pavilion to depart for George's Island. By the time we arrived at George's Island the rain had stop. Now it was time to enjoy the afternoon. 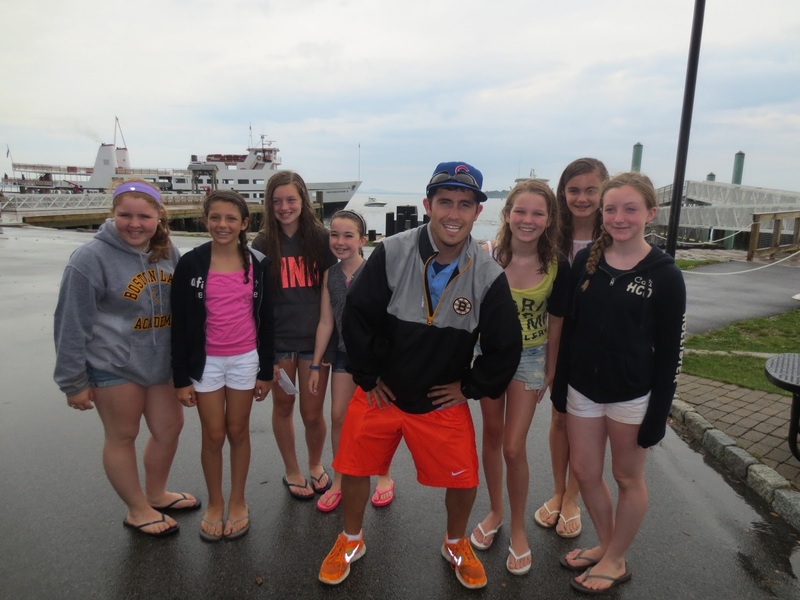 Upon arrival at George's Island I was stopped by a few children who were doing a scavenger hunt. I had a bruins jacket on and one of the items on their list to find was to get a picture with someone who was wearing a bruins jacket. So I helped them out but taking a picture with them. Here I am taking a picture for a group of children who were having a scavenger hunt. Now the off to the ball game. Once Paige Academy was finished with their tour of Fort Warren they gathered with us to play a game of kickball. We quickly picked teams so we could start our game of kickball. This kickball game had everything from diving catches, to home runs, to jump catches, to sliding into base, to plays at the home plate. This game was very high scoring. No lead was safe. After all the fun and dust had been cleared we ended up finishing in a tie at fifteen runs a piece. The best part of the game was being able to interact with the children from Paige Academy. They were a great group of children who enjoy having fun! That was just what we did! Here I am kicking a line drive in to center field for a double. Can't wait for next week as the All Access Boston Harbor crew make a stop at Spectacle Island! Also the beginning for Frisbeach!